Trouble could be brewing for LVMH owned brand Bulgari. Police in Italy have seized assets from the luxury Italian jewellers and watchmakers worth €46 million (£39.7m) as part of an investigation into possible tax evasion. 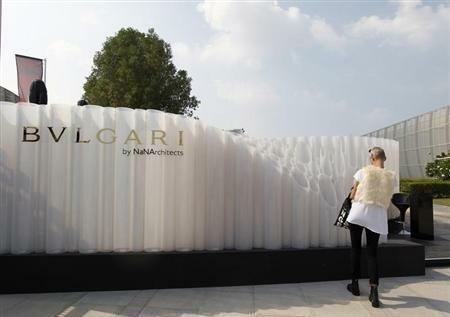 Bulgari has been stripped of properties, including its flagship store in Rome, bank assets and company stakes. The police investigation centres around the Bulgari family members Paolo and Nicola Bulgari, chief executive Francesco Trapani and the luxury group's lawyer Maurizio Valentini, although no arrests have been made. The four men are accused of making fraudulent declarations about €3 billion (2.6bn) of revenues by using foreign subsidiaries. The period into which the police are looking runs from 2006 to 2011, which falls before the acquisition of the Italian watch and jewellery brand by luxury group LVMH. Bulgari is reported to have said that it “is extremely surprised” by the allegations and that it "will take all actions necessary to clarify its position”. “The investigations have brought to light a true ‘escape strategy’ to avoid Italian taxes and in particular tougher rules that were introduced from January 1 2006 related to the taxation of dividends,” the police said in a statement. Bulgari is not the first luxury goods group to come into the sights of the Italian tax police. Italian police in November confiscated €65m of assets, including a 15th century castle, from the Marzotto family and its business associates over suspected tax evasion connected to the 2007 sale of the Valentino luxury brand. TAG Heuer CEO, the highly regarded Jean-Christophe Babin, is due to take the helm at Bulgari in the next few months.